Just as taking too many antibiotics can kill the good bacteria living in your body, traditional fertilizers can deplete your soil’s richness by killing the good microbes along with the bad. John and Bob’s soil optimization kits are designed to literally add life to your plot of earth by replenishing the missing microorganisms and enriching the soil’s nutrient base. The result is healthier lawns, trees and shrubs, more lush flowers, and bigger and tastier vegetables. John and Bob’s GrowGreen Smart Soil Solutions work by breaking down problematic soil, such as matter that’s packed with too much clay or sand. This gives plants better access to nutrients. And, like eating an apple a day, the solutions help keep plants healthy from disease and pests. These kid- and pet-friendly kits included concentrated humus (fully decomposed organic material); a soil penetrant that breaks apart soil; essential plant nutrients; soil conditioner to help soil retain water and nutrients in the root zone; and beneficial microorganisms. 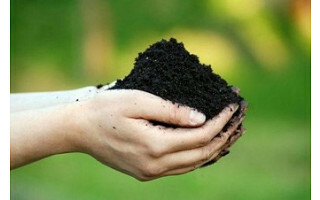 These organic soil solutions are available for different soil types, such as lifeless soil, sandy soil or clay soil. Apply the kit topically to your lawn and garden, and soon you’ll see the difference. 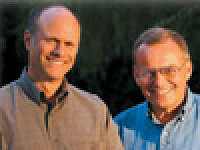 The inventors of John and Bob’s soil improvement kits are John Valentino (right) and Bob Truxell. Together they have more than thirty years of experience in the Central San Joaquin Valley of California, where they run a landscape construction business and a wholesale nursery. John and Bob developed these soil solutions to help gardeners of all kind create lush landscapes that are beautiful to look at, but also healthy, organic and in balance with nature. It’s just what we want in our backyards. Just as taking too many antibiotics can kill the good bacteria living in your body, traditional fertilizers can deplete your soil’s richness by killing the good microbes along with the bad. John and Bob’s soil optimization kits are designed to literally add life to your plot of earth by replenishing the missing microorganisms and enriching the soil’s nutrient base. The result is healthier lawns, trees and shrubs, more lush flowers, and bigger and tastier vegetables. John and Bob’s GrowGreen Smart Soil Solutions work by breaking down problematic soil, such as matter that’s packed with too much clay or sand. This gives plants better access to nutrients. And, like eating an apple a day, the solutions help keep plants healthy from disease and pests. These kid- and pet-friendly kits included concentrated humus (fully decomposed organic material); a soil penetrant that breaks apart soil; essential plant nutrients; soil conditioner to help soil retain water and nutrients in the root zone; and beneficial microorganisms. 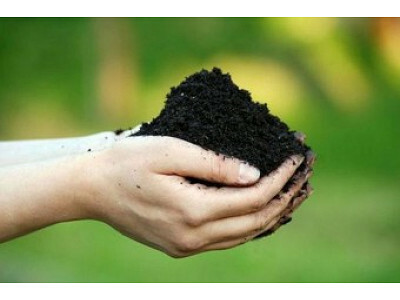 These organic soil solutions are available for different soil types, such as lifeless soil, sandy soil or clay soil. Apply the kit topically to your lawn and garden, and soon you’ll see the difference.